Oaks Lighting Lysander Tiffany American glass ceiling pendant in autumnal colours with antique bronze finish ceiling plate and chain. 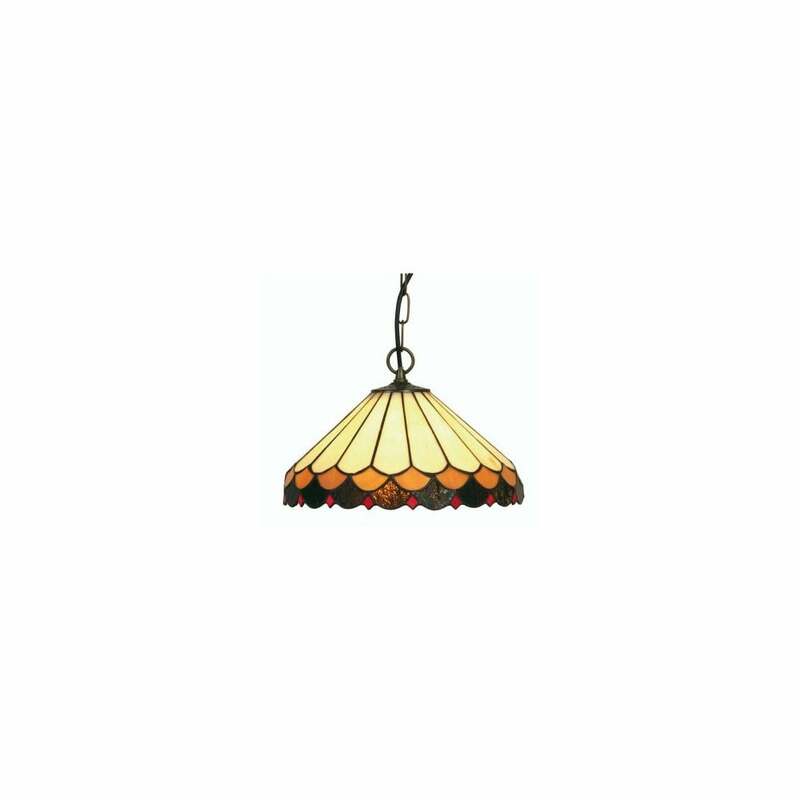 The product code is OT 1500/12 P.
This colourful fitting would be a creative addition to any suitable room, the genuine hand made stained Tiffany glass has autumnal hues and provides an Art Deco style feel. As with all handcrafted Tiffany style items small variations in colour and texture may be present. These are a natural part of the manufacturing process and serve to add individuality to each item. There are table lamps and a smaller pendant to match.